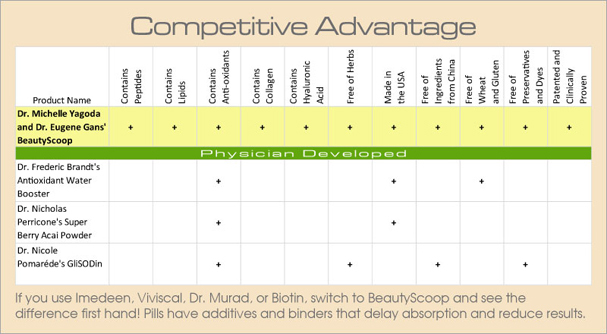 Dr. Yagoda and Dr. Eugene Gans spent nearly a decade researching and developing BeautyScoop®‘s natural and effective healing formula for the skin, hair and nails. 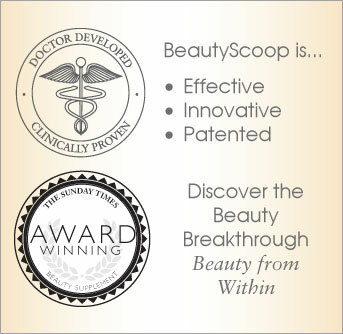 After nearly a decade of intense scrutiny in clinical trials by independent dermatologists around the nation, BeautyScoop® was determined to provide clinically proven, safe, effective and significant results. The data from these trials was presented at the 11th International Symposium of Facial Plastic Surgery and the 50th Annual Meeting of the American Academy of Facial Plastic Surgery. The results of the studies were published in the the Journal of Nutrition and Food Sciences in a special supplement on Nutrition Therapy. 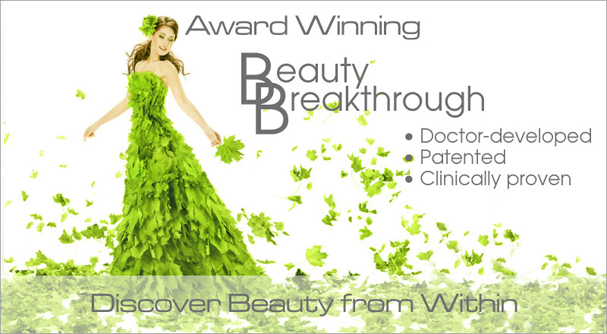 In addition, BeautyScoop® was awarded a United States patent. 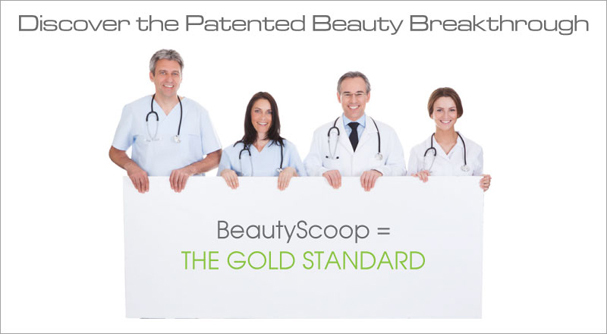 Viewed as the new gold standard in a comprehensive skin, hair and nail care regimen, BeautyScoop® is the leader in Beauty from Within. 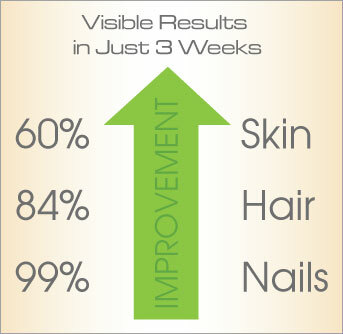 In placebo-controlled, double-blinded clinical trials, 86% of people reported an improvement in all three areas – skin, hair and nails – within 3 weeks! And, 21% of users reported that their problem was completely gone. 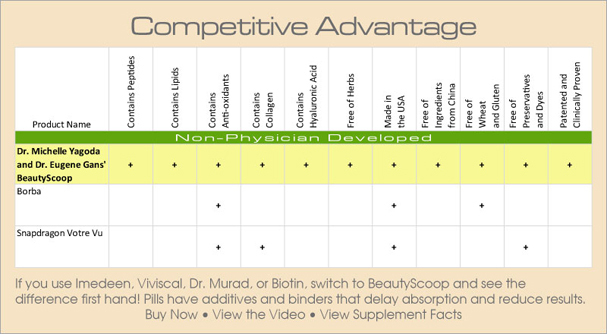 * Experience BeautyScoop’s competitive advantage first hand! 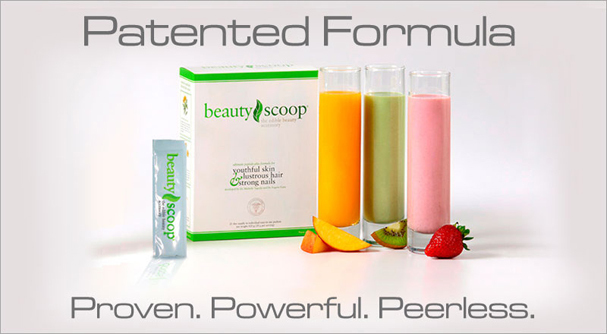 From head to toe, and everywhere in between, patented BeautyScoop® delivers results you can see and feel in a proven, effective formula that really works! * Data on file at Opus Skincare, LLC. Get Prettier with Every Sip. Beauty is power! Drink it in.